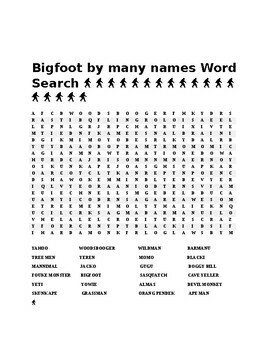 Bigfoot is hidden, and so are all of these words associated with Bigfoot. Every culture has a similar creature with a different name. 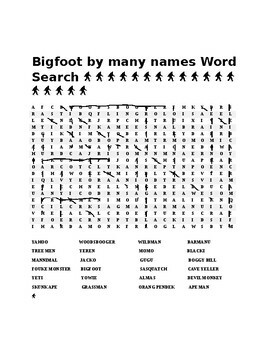 See how many you can find hidden in this word puzzle.